-6 I wish I could tell you adequately how much I plan and dream for our future. I do so much. 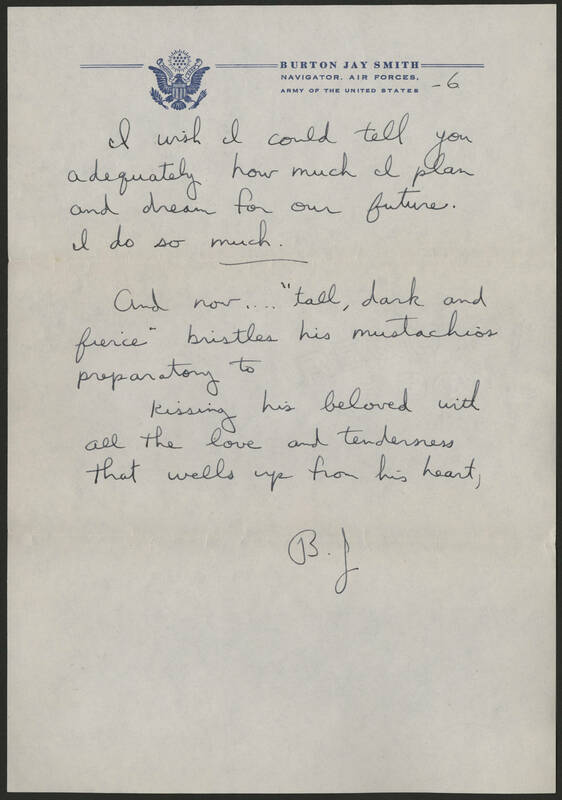 And now… "tall, dark and fierce" bristles his mustachios preparatory to kissing his beloved with all the love and tenderness that wells up from his heart, B.J.